Today is National Gardening Day! When is the last time you thought about your favorite books from childhood? I thought about mine just the other day. I had a bit of an epiphany about them – I realized that my favorite books gave me some of my favorite activities I enjoy as an adult. One of my all-time favorites as a child was The Secret Garden, by Frances Hodgson Burnett. Growing up, I had a love of “secret” places – places that sparked my imagination. I’d imagine my favorite old, abandoned building that was on our way to the mall as a potential secret meet-up for my friends. I’d take a flashlight in my closet and hide away from the world with books and games for a little while. What can I say–my ability to daydream was one of my favorite activities, and it still is today. The Secret Garden will always be a beloved classic that brought the joy of gardening into my heart as a child. 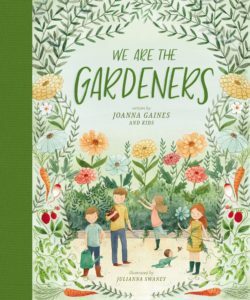 Today, I’ve been loving the new children’s book, We Are the Gardeners, by Joanna Gaines and her adorable children. She and the kids share the adventure of how they became gardeners, from their first failed attempt to a vibrant and flourishing garden. 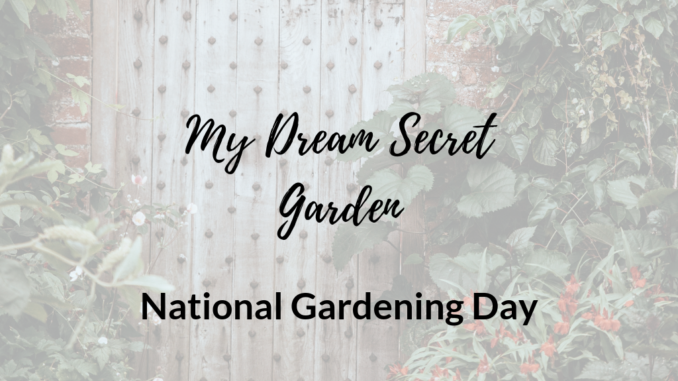 What better time to get kids excited about planning their dream gardens (with beautiful artwork that even adults adore) than National Gardening Day? A dreamy old gate: The rustier and the older, the better. If you have a secret garden, you have to protect your space and your entrance into it. Even looking at images like this one, this one, and this one on Google Images get my imagination running wild! Bleeding Hearts: I remember these being one of my favorite plants growing up. My parents planted them on the side of our house, or sometimes we’d have them as hanging plants. They were just so beautiful and special. Tulips: These are my favorite flower. Enough said. Herbs: I’m drawn to the idea of having “useful” items in a garden, particularly herbs. As an apartment dweller, I’ve longed for a plot of land where I can plant basil, mint, rosemary, oregano, and dill. Basil on top of a pizza, or mint to freshen my ice water, seems like a very attainable luxury. They are fast-growing, so plant once, water, and be done! An apple tree: Spending time in your secret garden means that you will most likely be away from your kitchen for a while, so why not make sure you have a nutritious snack at the ready? Plus, Country Living named apple trees one of 15 Easy Garden Plants to Grow. Who doesn’t love easy?! A willow tree: While you are enjoying the quiet peace of your secret garden, sit on a bench under a big willow tree, enjoy your apple, and, of course–curl up with a good book! For those who are interested in celebrating National Gardening Day (kids and adults!) check out We Are the Gardeners. Who knows, with encouragement like that, I just may be able to actually build my own secret garden someday! What were some of your favorite books from your childhood? What would you plant in your secret garden if you had the opportunity? Tell us in the comments! Stefanie, one of three marketer/publicists with the same name, hopes to one day be Queen of the Steph(f)anies. When she is not plotting this, she loves going to hip-hop/dance classes, attending live theatre, and being generally wonderful. She is a self-proclaimed book hoarder. 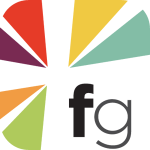 Page Chaser is operated by HarperCollins Christian Publishing, Inc., (HCCP) the publisher of We Are the Gardeners.